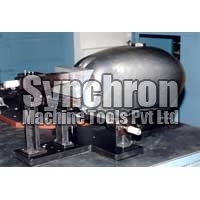 " Synchron best supplier for jigs and fixtures 2015"
Synchron Machine Tools Pvt Ltd is an ISO 9001 - 2008 accredited company that is known for Manufacturing and Exporting a wide range of Industrial Equipment. We are engaged in designing Industrial Fixtures, and Checking Gauges that are widely demanded by Automobile, Aerospace and Defense segments around the world. 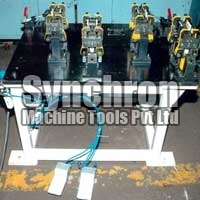 Made available in a variety of specifications, the Industrial Equipment is also designed and manufactured exactly as per the specific requirements detailed by the clients. The focus of our operations always remains on delivering the most advanced Industrial Equipment that not only meets but exceeds the expectations of customers by offering a high level of accuracy while aiding in substantial reduction of production costs. Setting benchmarks for competitors in this segment, our aim is to become recognized as a quality leader in the market. Backed by the latest technologies and a well-qualified manpower, we have managed to successfully cater to a large number of clients while adopting a zero-defect approach for maintaining high-level clientele.